The New York City Marathon is just a few weeks away and while it’s too late to actually run the race, there’s still time to help run it. That’s because the New York Road Runners Club is still taking applications for race day volunteers. 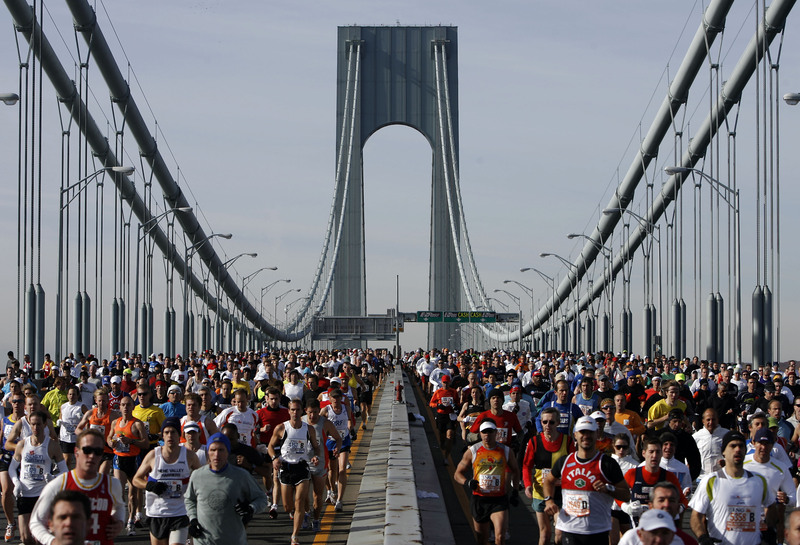 Assignments include staffing the The ING New York City Marathon Health and Fitness Expo at the Jacob Javits Convention Center in the days leading up to the race, giving out water to runners along the 26.2 mile course and even handing out medals at the finish line in Central Park. If you ‘re interested in making Sunday November 7th run smooth, head here to become a volunteer. And who knows, maybe you’ll be inspired by the millions of runners and decide to enter the race next year. And don’t worry, you’ll have time to decide. The lottery for next year’s race isn’t until sometime in April 2011. This entry was posted on October 20, 2010 at 9:02 am and is filed under Running, Upcoming Races. You can follow any responses to this entry through the RSS 2.0 feed. You can leave a response, or trackback from your own site.